My friends, Halloween is here - well in 2 days - but you know what I mean! Growing up halloween was just such an exciting day. Leading up to it I would be creating (or putting together) some elaborate costume. I would go all out - whether it was transforming into an alien, my favourite spice girl or even a witch. I would want to top the amount of candy I got the previous year, so out would come the pillow cases and on would be the layers of clothes we would wear under our costumes, and out we would go. Every year getting to cover more neighbourhood blocks then the last. We wouldn't waste a minute once we got home, dumping our candy on the carpet and sorting it out. Halloween will forever remind me of my grandmother. It would be early evening and she would don her jacket, grab a chair and sit by the door with a tub full of candy. She was very particular that she handed out the candy and she loved it! The last few years I had taken over, for her health wasn't great. But she would still come over to the front door and supervise if I was handing out the candy right. This will be my first halloween without her. So this year while handing out candy I will be thinking of her! As we grew older, a new tradition of sorts was formed. Leading up to halloween we decorate our house, carve pumpkins and bake sugar cookies. On halloween night after handing out the candy is done, we settle down and watch a scary movie. To tell you the truth I've never been a scary movie fan, not because I am scared watching them, but quite the opposite, I get bored! But on Halloween night it's just fun to turn off all the lights and watch a scary movie with my sisters. 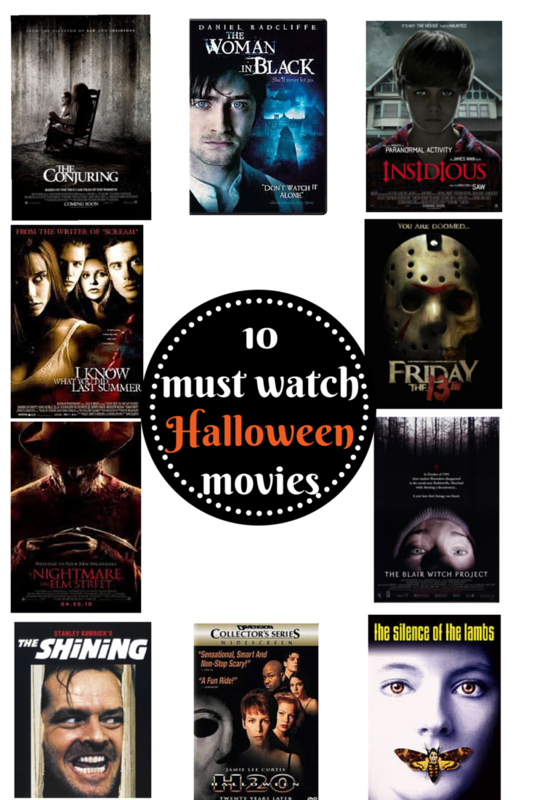 My sisters and I came up with a list of 10 must watch halloween movies. I would have to say a recent favourite of mine would have to be The Women in Black, definitely worth a watch! Hope you all have a great halloween! We are still choosing a movie for this year's halloween night. What are some of your scary/horror movie recommendations? Gahh I can't watch scary movies lol I get too terrified! I wouldn't be able to handle ANY of these lol! I used to LOVE scary movies. But ever since my pregnancy, they totally give me anxiety and I get legit scared, haha. But the scariest movie I think I've ever seen is The Descent. Seriously, if you love scary movies, go watch it. But don't watch it alone, or in the dark. 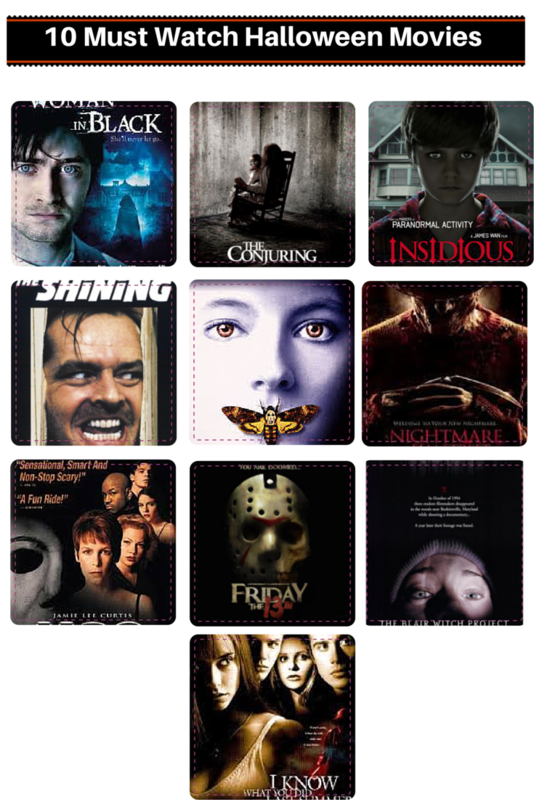 As a horror movie fan, I've watched most of these movies. Silence of the Lambs is one of the all-time best. :) Do you have any recommendations (esp more recent movie releases)? Insidious is my fav halloween movie!